SALT LAKE CITY, UT, Jan. 30, 2019 – Women’s empowerment has seized the rafting industry. 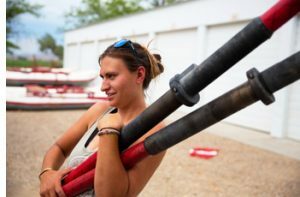 A leading river company is seeing a sizable uptick in the number of women now part of its crew of raft guides and staff. And they are recording an increasing number of female guests on rafting and mountain biking trips, scheduled and chartered. 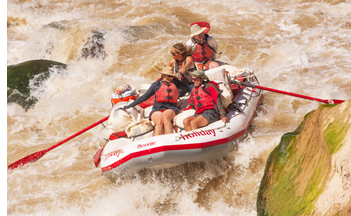 Holiday River Expeditions (https://www.bikeraft.com/) reports that through the 2018 season, 40 percent of their guide staff were women. That’s the highest representation ever in its 50+ year history. It is looking like this coming year will be no different. 4-5 Day Yampa Riverthrough Dinosaur National Monument is offered in May and June when the river runs full and the wildflowers bloom. The per person rate is $885 to $965 with a group of 10 or more. – White Rim Mt. Bike & Yoga: Katie Woods, a yoga specialist, guides this May 11-14, 2019, four-day mountain bike tour in Canyonlands National Park. 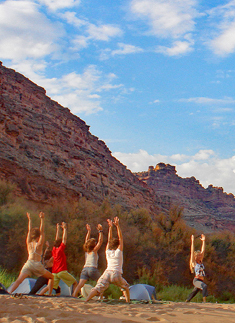 – Wild Yoga on the Green River: This six-day Green River rafting adventure through Desolation Canyon is June 3-8, 2019. With the group will be Rebecca Wildbear, a river and soul guide. 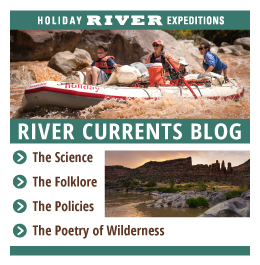 – Women’s River & Yoga Trip: A four-day rafting trip on the Green River through Lodore Canyon July 11-14, 2019 comes with twice-daily yoga sessions. – Women’s Multi-Sport Adventure: Women raft, kayak, hike and practice yoga for four days this Aug. 24-27, 2019 in and around the Colorado River on Ruby and Westwater Canyons. – Stand-up Paddleboarding & Yoga: For four days this Sept. 5-8, 2019, yoga, fitness and stand-up paddleboarding join forces while rafting the Colorado River through Ruby and Westwater canyons. Led by Katie Woods and the guides at Holiday River Expeditions.